Texas Highways Feb 2012 no 8 Photo of black retro n front of restaurant in Texas in "Postcards" column. Automobile Dec 2011 no 126 Review of RM auction with the sport roadster. Frontline Dec 04/Jan 05 no 8-9 Two page spread on the Cashmere special edition for 05. Hertz Hawaii Maps Drive Guide March-June 2005 YES cover photo of red 03 on the beach prominently on cover. 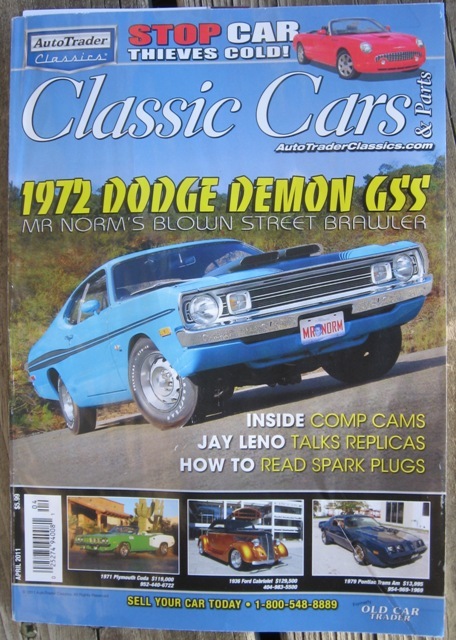 Hemmings Classic Car June 2006 no . 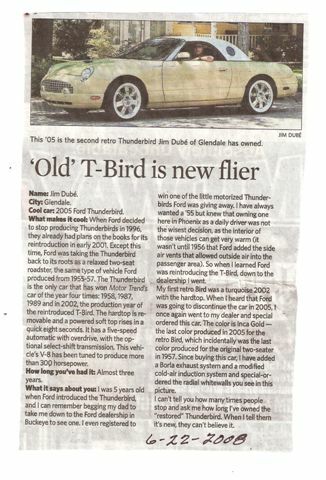 Flying High: How Ford's Thunderbird was Born"
article title was the "100 Leading Women In The North American Auto Industry". 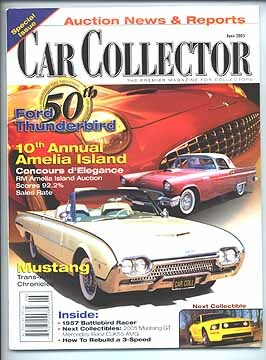 Car Collector June 2005 yes 10-19, 20-24; 33;36-40, Red 05 with 57 bronze and white 62 SR on cover, 3 Thunderbird articles; ads using early or late T-birds. Southern Living October 2004 no 99 photo of rear of white 02/03 T-bird on a country road in the fall.